Official source say the the Oil and Gas Development Company Limited (OGDCL) is carrying out the drilling at the X-1 well which was spud in May this year in the district Dera Bugti, Balochistan. No one is sure about the quality of the natural gas of this reservoir. 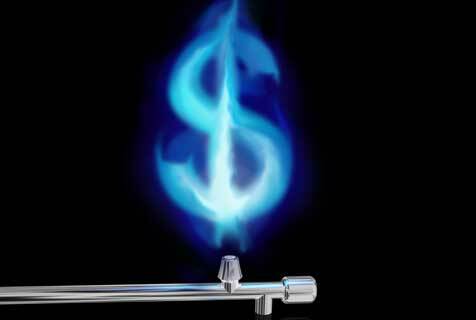 It might be possible that the natural gas from this reserve will be of low BTU quality. According to officials it is premature to give the reservoir estimate or its quality before the drilling gets completed. However they go say that initial estimates are predict to be a major hydrocarbon reserve of up to 10 tcf. Four other sites have also been identified for drilling but that will depend upon the results on the first well. ISLAMABAD – The government is anxiously waiting for the completion of drilling at the first well of the Zin block in Balochistan, which is expected to reach the target depth of 2300 metres within the next 30 days, and there are chances to discover a natural gas reservoir of an estimated 10 trillion cubic feet (tcf). Major hydrocarbon reserve: An official source said that the Oil and Gas Development Company Limited (OGDCL) is carrying out the drilling at the X-1 well which was spud in May this year in the district Dera Bugti, Balochistan. No one is sure about the quality of the natural gas of this reservoir. It might be possible that the natural gas from this reserve will be of low BTU quality. The source said that it was premature to give the reservoir estimate or its quality before the drilling gets completed. However he said initial estimates predict it to be a major hydrocarbon reserve of up to 10 tcf. He said four other sites have been identified for drilling but that will depend upon the results on the first well. Expected discovery pivotal for energy security: The company had obtained exploration license for Zin block in 1996. But due to the law and order situation in Balochistan, it could not be drilled for the last 14 years. In the industry Zin block is considered a prospective block as it is surrounded by major natural gas producing fields of Pirkoh, Loti, Sui and Uch. The work on the site was started in 2010, when the government provided the required security to the company. If the drilling proves successful gas from the field will start flowing within the next one year, the source said. Terming the project as the most important for the country’s energy security, the source said a discovery in Zin block will force the government to provide security to companies for carrying out oil and gas exploration and production in the hydrocarbon rich province. The country’s first major discovery of Sui gas field, also in Dera Bugti, was made in 1952. At the time of its discovery, it had recoverable gas reserves of around 12 tcf and still remains the highest natural gas producing field in Pakistan, producing around 550 mmcfd. It has estimated 2 tcf reserves left. 22 trillion cubic feet of projected gas reserves: Kohlu district yet unexplored but termed as the most prospective for major hydrocarbon discoveries in future is the ultimate target of OGDCL for exploration, provided the security cover is provided, said the official, adding that unofficial estimates project more than 22 tcf in the district. OGDCL has applied for security clearance for four licenses in the district including Kohlu, Jandran, Jandran West and Kalchas. The government owned OGDCL is the largest upstream company in the country having a portfolio of 77 fields, out of which 45 fields are 100 percent owned and operated, and 32 are non-operated fields. As of December 2010, it holds 48 per cent of the country’s recoverable oil reserves, and 37 percent of the country’s recoverable gas reserves. In terms of production, currently OGDCL delivers 56 per cent of Pakistan’s oil output, and 22 per cent of its gas production. I have got some surprised input of a person who through back door channel has got permission of working on oil and gas reverses in Baluchistan. What ever he experienced or earned is quite different what our govt said for such reserves.He has hope of huge oil and gas reserves in wide areas of Baluchistan He successfully handling two units there earned in billions in last 5 years and claimed that he has excellent terms of friendship with local baloch as he given them their share of job, money and some other facilities as per their demands which hardly is 2 to 10 % of his profit.In return he receive benefits of security and cordial relation with them. so from his experience I think when there is will we can find ways and if you have no will you use gun to harass all. You have said it very right, specially your ending sentence. Nazia I have been to Balochistan many times and met there all types of people, of course the fellow Punjabis, but then the Pashtuns and the Baloch and I found all of them nice people. They are hospitable though bit arrogant in conversation but by and large they are friendly type of folk. The only thing that has estranged these goody goody Pakistanis is what you so rightly term as ‘when there is no will, then there is the use of guns to harass all’ and that is the root cause of our problems. From Ayub Khan to Zulfiqar Ai Bhutto, to P. Musharraf and finally to Zardari all our regimes have known only one solution of Balochistan problem and that is: use the guns and every thing will be alright. And as far Baloch is concerned, as I said it before as well, with love you can take Baloch to hell but under force or pressure, he will resist going with you even to paradise. Unfortunately when we have this bigoted coterie governing us, how can we expect such vision, for crows can never be eagles, [a hard bitter fact of our Pakistani political life].